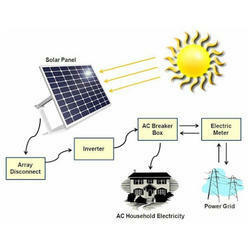 Solar Equipment such as : Solar UPS, Invertor, Batteries, Chargers, etc. 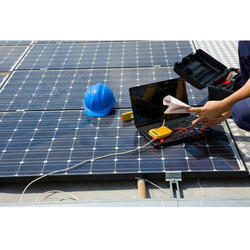 Agrid-connected photovoltaic power system, orgrid-connected PV systemis anelectricitygeneratingsolar PV systemthat is connected to theutility grid. 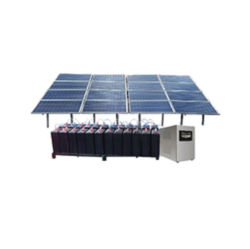 A grid-connected PV system consists ofsolar panels, one or severalinverters, a power conditioning unit and grid connection equipment. They range from small residential and commercialrooftop systemsto large utility-scalesolar power stations. Unlikestand-alone power systems, a grid-connected system rarely includes anintegrated battery solution, as they are still very expensive. 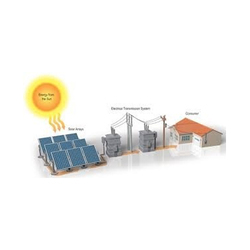 When conditions are right, the grid-connected PV system supplies the excess power, beyond consumption by the connected load, to theutility grid. 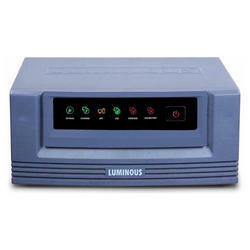 We are engaged in offering premium range of Luminous Solar Inverters for Institutes to our clients. This is excellently tested by quality controllers in order to dispatch flawless range at clients end. 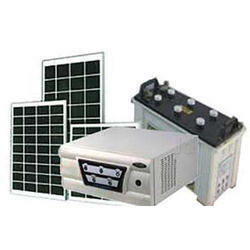 We are a coveted organization that is engaged in manufacturing and supplying optimum grade Solar Inverters . 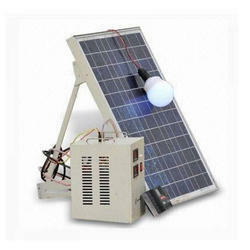 Available in various specifications, our range is charge through solar energy. The offered range consists of a solar module. Furthermore, we offer customization facility of the offered range at reasonable rates. We are a leading renewable energy consultancy, providing engineering and technical advisory services in onshore and offshore wind, solar, wave and tidal and hydro projects. We have the capability to deliver at every phase of a project, from the early stages of site selection, feasibility and design right through to project management of the construction phase and operation and maintenance. We have established ourselves as a leading name of superior quality Solar LED Street Light. These are raised light sources which are powered by photovoltaic panels generally mounted on the lighting structure or integrated into the pole itself. The photovoltaic panels charge a rechargeable battery, which powers a fluorescent or LED lamp during the night. These lights turn on and turn off automatically by sensing outdoor light using a light source. 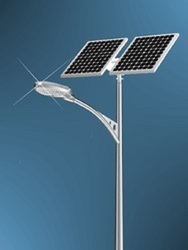 Solar streetlights are designed to work throughout the night. Constant Current Phase: all charging current available is used to charge a battery. Looking for Solar UPS, Invertor & Chargers ?